… Helping Me Look My Best! I’m a pretty simple gal. I don’t tend to get “dolled up” too often. There are many days when I don’t wear makeup at all. I used to think it was because I’d gotten lazy. I just seemed to feel like the effort wasn’t worth it. I’d spend time on making my eye shadow look just so (while still keeping it real), adding a bit of foundation, blush, and a finishing with a good-quality mascara. Then a few hours later I’d take it all off – because I felt more relaxed without make up. Again, I decided that this was because I was just being lazy. Then I discovered something. I didn’t like wearing makeup because the makeup was actually irritating me … my eyes would be slightly itchy, they’d water constantly, they’d get bloodshot and feel fatigued after just a couple of hours. I figured this was just how it is for us ladies when we paint our faces. And that some people were just more tolerant of these symptoms than am I. Then I learned that it doesn’t have to be that way! Enter a gluten-free mascara that doesn’t – and won’t after hours and hours of wearing – cause sensitive, itchy, bloodshot, fatigued, watery eyes. 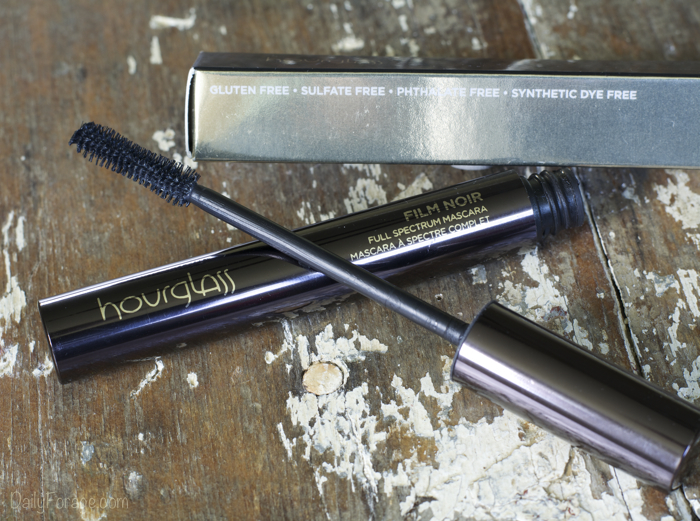 Hello, Hourglass Film Noir® Gluten-free Mascara. Hourglass Gluten-free Mascara is also free of phthalates, sulfates, and synthetic dyes. It contains Pro-vitamin B5 to help hydrate and condition the lashes. I’m no chemist, I just simply love how it makes my eyes feel and my lashes look. The wand has a shape that separates the lashes perfectly, allowing the smooth mascara to just glide right on. My lashes appear longer and healthier than ever before. And even though this mascara won’t smudge during wear, it easily washes off with soap and water, or with your favorite gluten-free makeup remover or face wash.
Hourglass Gluten-free Mascara has made me realize that I was never too lazy to wear makeup and look my best every day. Now I can feel good doing so. And while I’m not a makeup model, nor would I win any beauty contests, I have had three people compliment my eyes since I’ve started using Hourglass Gluten-free Mascara. That’s saying something positive right there! It makes sense that if you’re living a gluten-free lifestyle, and you’re uber careful about what you put into your body, i.e. making sure your food, medicine, vitamins, etc. are gluten-free and safe, then what you expose your skin and body to should receive the same consideration, caution, and care. Right? Absolutely. I love Hourglass Gluten-free Mascara. 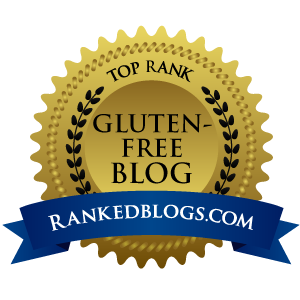 I’ll be checking out the other products in their gluten-free cosmetics line very soon. Be sure to check back for more reviews. For more information, check out Hourglasscosmetics.com. Note: I have not received product, monetary, or compensation of any kind for this review. This review expresses solely my opinion. Have you ever tried Hourglass Products? What’s your opinion?